It’s cookie season as you know, and we are getting ready for a lot of cookie sale opportunities! With all of our booth ideas running through our heads we are also getting ready for Walk About Week. For those that don’t know that is when we go door to door as a troop. 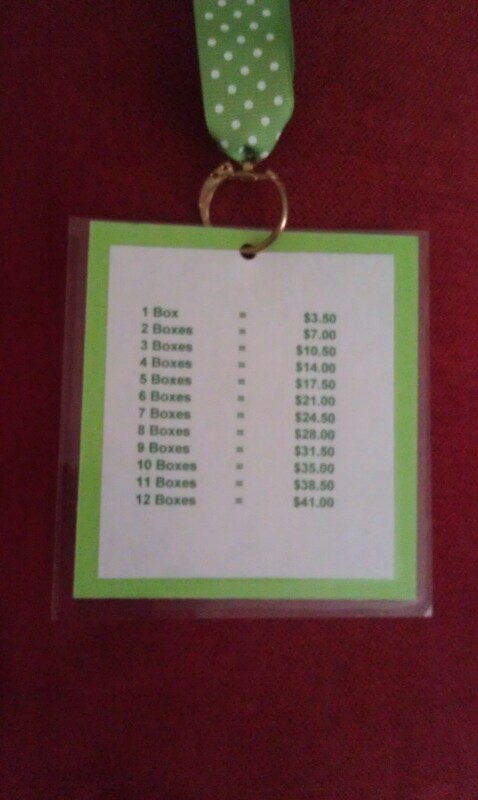 First thing I made for the girls is a lanyard to make it easier and faster when some one asks what kind and how much. 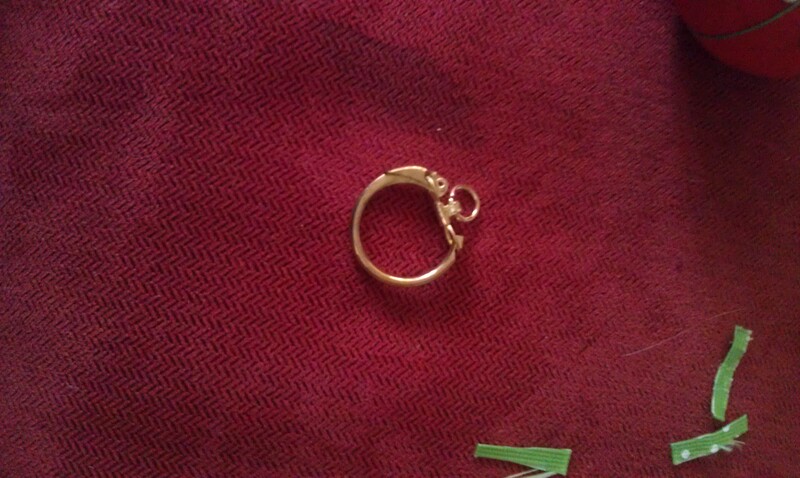 Here is a short tutorial on how I made ours…. 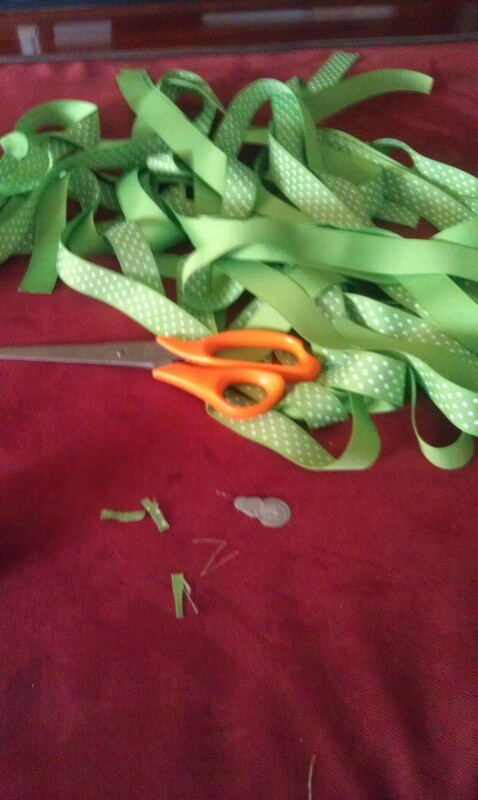 5 yards of thick cos grain ribbon made 18 lanyards, it could make more or less depending on how long you make yours. I had gotten a bag of these at a yard sale for a dollar I like using these for the lanyard clip than the two-part way you see a lot online. Lace this through the ribbon first. 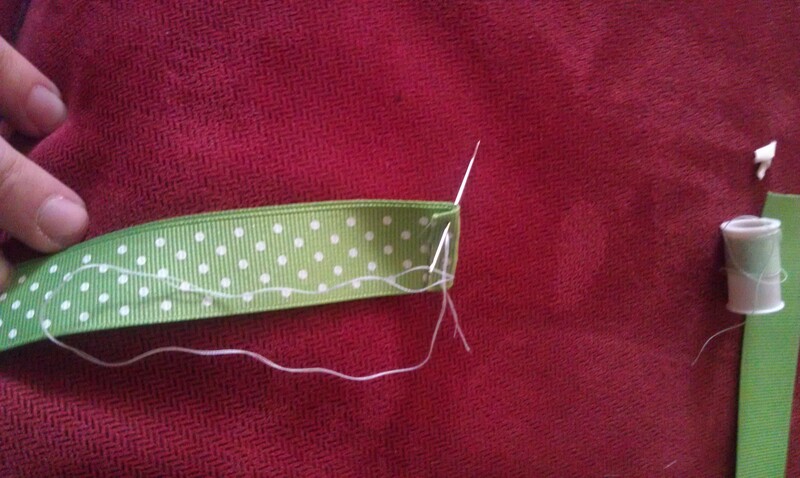 Then sew the ribbon together. 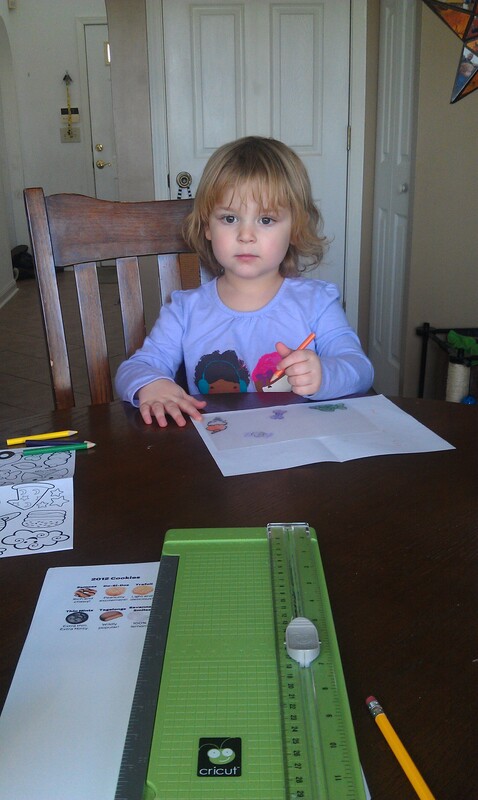 I sewed it three times across because the girls will pull on them I am sure. 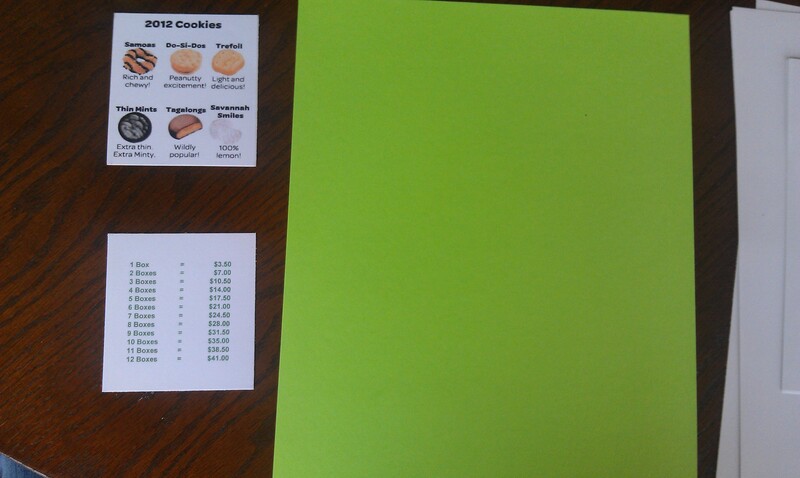 I printed out the cookie variety and the price cheat sheet and stuck them to a green paper to match the ribbon. 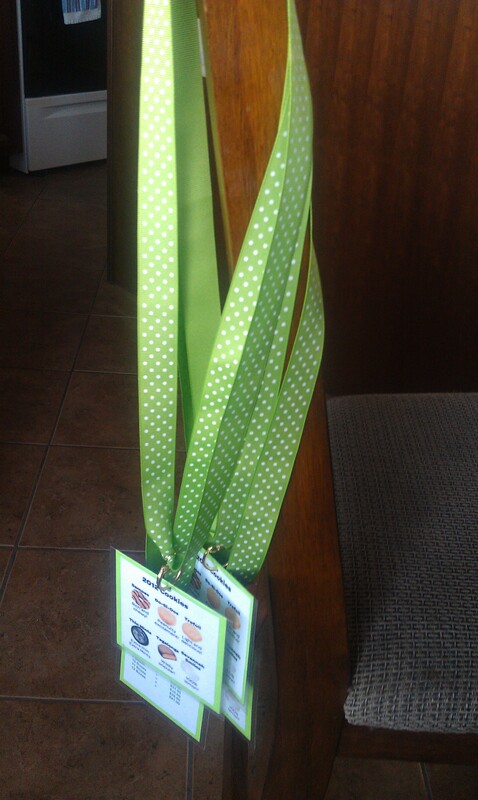 And hooked the to the lanyards! I will keep update my blog with whatever we do for this cookie season we are so excited this year ~! 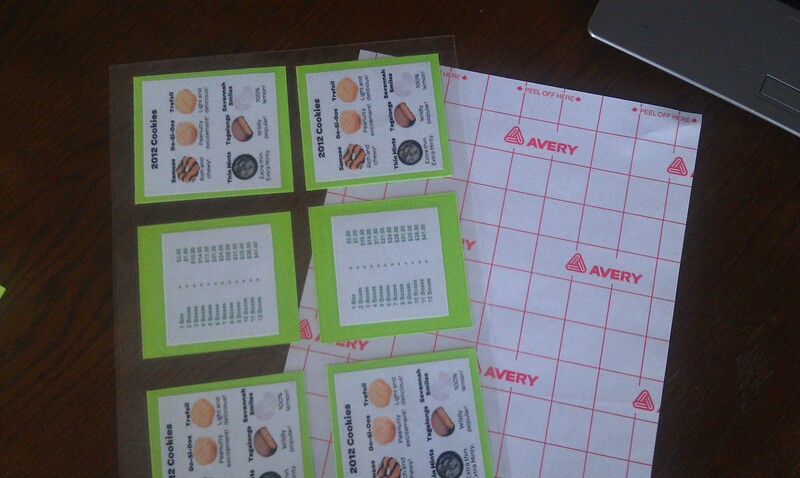 I did not have a template for the cheat sheets but have gotten several request so here you go! Just print out and resize if needed (-: Let me know how they turned out! Thank you to everyone who has made such nice comments! 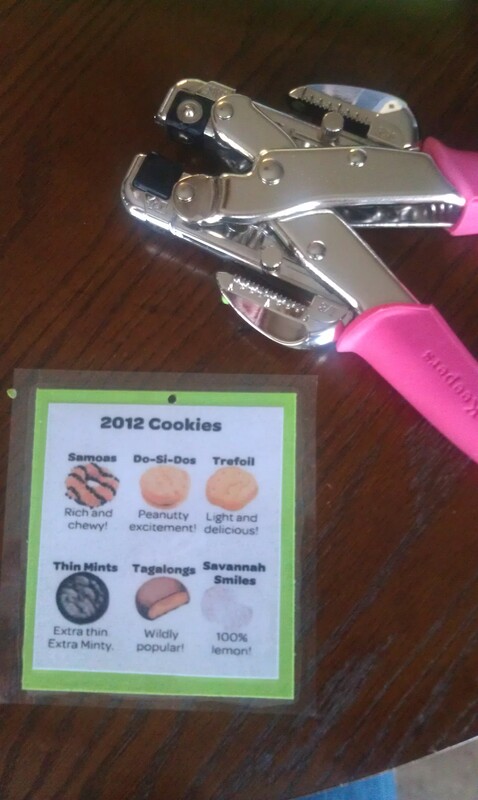 Our troop went to our council Cookie Rally and they had them there for the passports I loved it (-: ! This entry was posted in Uncategorized and tagged bling your booth, brownie, cookie booth, cookie lanyards, cookie season, cookie walk about, cookies, daisies, family, girl scout, girl scout camp, girl scout walk about, girl scouts, junior, lanyards, leader, sisters, troop 1391. Bookmark the permalink. Absolutely brilliant! Now get out there and sell some cookies! I absolutely love what you have done here. I just wish that the cookies could be edited as I am in a different area and as such use a different baker. We have a different selectio of cookies to offer. Love these!! Any chance you’ll be updating for 2016??? That’ true, it’ll guide kid to make their own fancy lanyard. Keep share your article with us.